6 Invaluable Tips For Overcoming Obstacles: Scoliosis! Symmetry—What if you're automatically at a disadvantage in this important category due to a postural deviation? 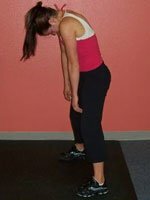 Here are some tips that worked for me in improving my personal case of functional scoliosis. Life presents all of us with obstacles, challenges that could stand in our way of fitness success. I firmly believe that for each obstacle there is a strategy and a way to overcome in order to reach your own personal potential! Symmetry—Any guide to figure or bodybuilding competition will stress this as a major element to being successful at the sport. What if you're automatically at a disadvantage in this important category due to a postural deviation? Should you quit? Should you not even attempt to compete because you probably won't win anyway? No way! I have a condition known as functional scoliosis and I'd like to share a little bit about my experience with this obstacle and how I have been able to make improvements to my condition and still find success in the fitness world. Functional what? You're probably asking. Scoliosis is a abnormal curvature of the spine. If you look at my spine in an x-ray it looks like an S or a C rather than a straight line. "Functional" means that I wasn't born with this condition, it developed during my childhood. 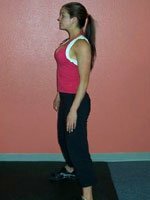 I discovered I had scoliosis a few years back during a postural analysis at one of the personal trainer schools I attended. Up until that point I knew that one shoulder was higher than the other but I thought it was because I wasn't lifting enough on that side. My condition was confirmed later by an x-ray which displayed the snake-like curvature of my spine. Due to the S shape of my condition, one side of my back was tight and more developed while the other is stretched out and weaker. When I started training for figure competitions in 2005 I had to cater my training to my condition in order to improve it as much as possible. I can say from personal experience that my spinal deviation has dramatically improved to the point where it is barely noticeable unless you are looking for it. As with any issue related to your health and fitness it is important to consult with the proper medical authorities concerning your individual condition. That being said, here are some tips that worked for me in improving my personal case of functional scoliosis. 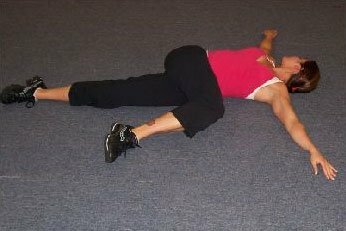 In my opinion one of the best ways to improve any postural deviation is to be aware of it and avoid doing activities that will aggravate your condition. 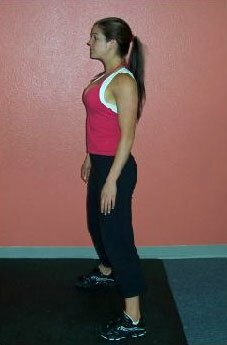 For example, while strength training I discovered that my upper trapezius muscles were constantly trying to "help" with other exercises. This was the stronger and more developed side of my body and for a long time I was allowing it to "cheat" without even realizing it. Now whenever I train I watch myself carefully in the mirror and am very aware of what my right trap is doing so I can avoid cheating on this side. Incorporate exercises and movements into your routine which will strengthen your core muscles including your abdominals and lower back. Each of your workouts should incorporate stabilization and balance movements. Due to the nature of scoliosis typically one side of the back is tight and one is more stretched out so in order to make improvements to the condition you need to stretch and strengthen. 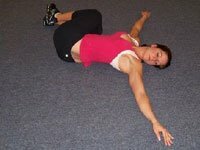 Where stretching is concerned I recommend rotational back stretches, trunk twisting movements, and stretches where you are reaching overhead in order to lengthen and stretch the lats. 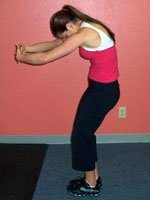 If you perform a stretch and it aggravates your condition, stop doing it and be sure to consult with your doctor! Many yoga postures are fantastic stretches for the spine. 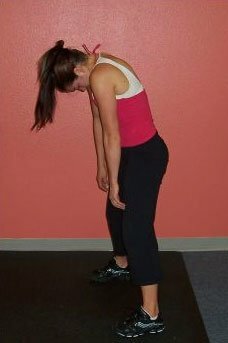 More Spine Stretch demonstrations can be seen below. 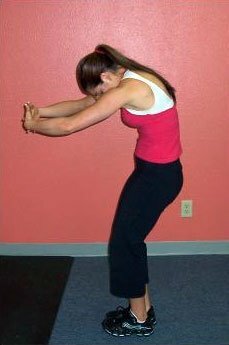 Standing Or Seated Back Stretch. Because one side of your body is probably stronger than the other if you suffer from scoliosis, it is important to do unilateral strength training. Be sure to move each side of your body through a full range of motion, in other words don't allow the strong side to pull more weight or go through a larger range of motion just because it can. Really focus on making sure that both sides are getting an equal amount of work. Examples of unilateral exercises for your back are one-arm rows, dumbbells or cables work great for these. Avoid exercises that aggravate your condition. 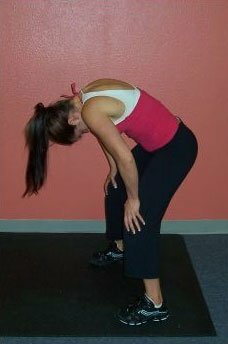 When you have scoliosis you may discover that spine loaded exercises such as barbell squats or lunges are painful. 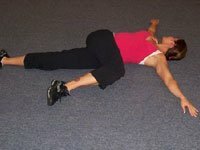 Be sure to avoid doing any exercises that cause pain as they could lead to injury. You can do a multitude of leg movements without loading your spine including many variations of step-ups, squats, lunges, leg extensions, leg curls and hip extensions. Getting massages on a regular basis can loosen up the tight muscles that are a result of scoliosis. I recommend that you find a masseuse who has experience with neuromuscular massage and works with athletes regularly. You may pay a little bit more for a specialized massage such as this but you will get a lot better results from it too! This is very important for anyone planning on taking the stage. You need to know what your body looks like when you are posing and you need to know how to get into the pose that will best display your physique. If you are suffering from a postural deviation it is important to know how to hold your body so that attention is not drawn to any imperfections. Becoming a competitor and changing the way that I train my body has helped me make major improvements to my posture. Is my functional scoliosis gone? No. Improved? Yes. I am still very aware of my condition and I still work on it every day that I train. But I haven't let it hold me back from pursuing any of my dreams within the fitness industry. Remember that everyone's case is different, you should consult with a specialist to find out what treatment process is best for you, but no matter what don't let an obstacle such as this stand in your way of pursuing your fitness dreams of being a competitor. **The information in this article is my personal opinion and not a diagnosis for this condition. There are many different types of scoliosis and to find out what is the best treatment and training options for you, you should consult a specialist.